"It beats having to get a job." 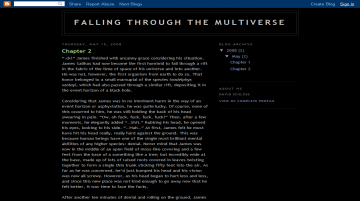 Falling Through the Multiverse by David Schloss is a sci-fi novel updated monthly. Falling Through the Multiverse has not been reviewed yet. Falling Through the Multiverse has not been recommended yet.